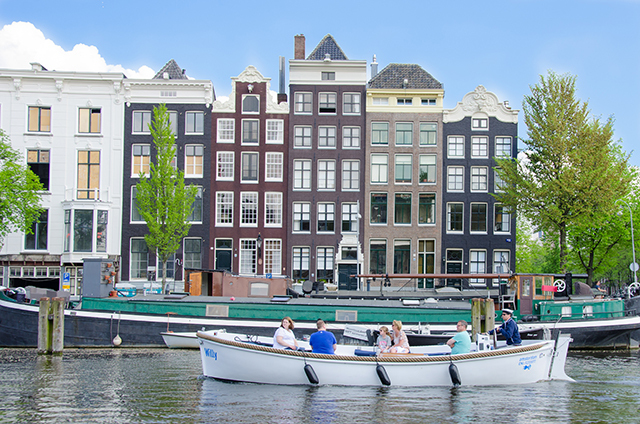 An exciting option and ‘must-do’ experience of seeing Amsterdam, is the Blue Sky Boat! 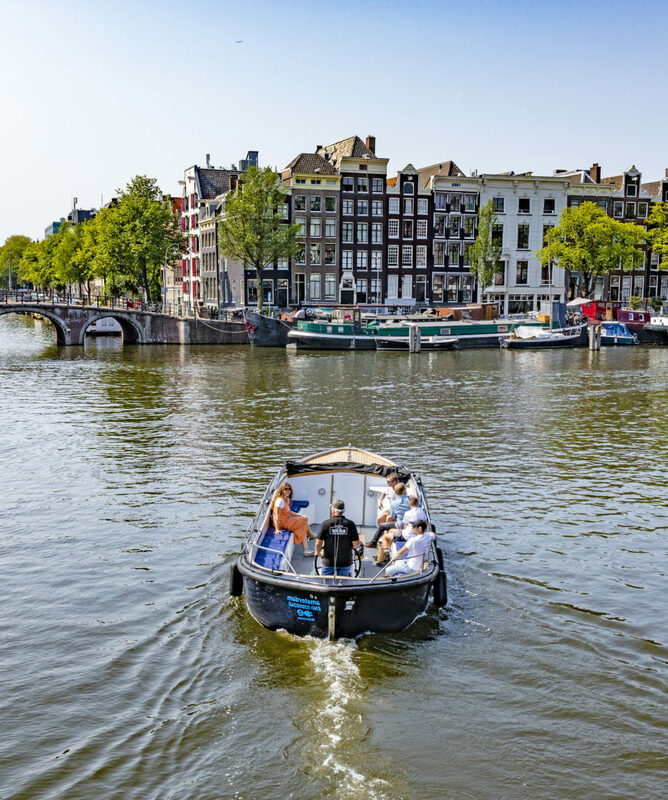 This intimate boat will take you on a tour down the Amsterdam canals on an open boat and offers the chance to get up close to the city. Nothing will obstruct the view from the water as this boat is uncovered and enables you to enjoy the sunshine and take fabulous pictures. 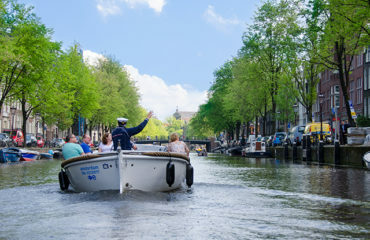 This boat is also able to get to those city spots that are inaccessible to the larger tour boats, making this tour an even more unique experience. Will the Blue Sky Boat sail today (due to weather)? To get this question answered and book tickets, please contact our ticket desk on tel. +31 (0)20-6760551. 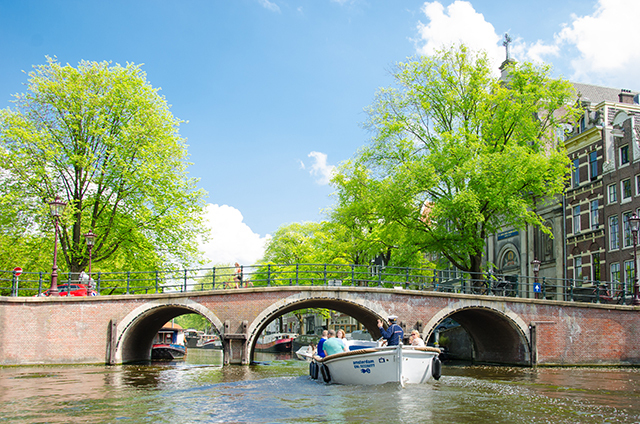 Please note that on sunny days, the sun gets to you even more on the water – even though it feels collers with a little breeze. So be sure to wear sun screen and/or a hat! 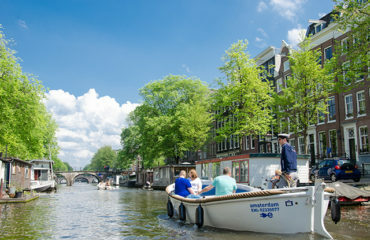 The Blue Sky Boat does not sail on Kingsday (April 27th) & during the Gay Parade. 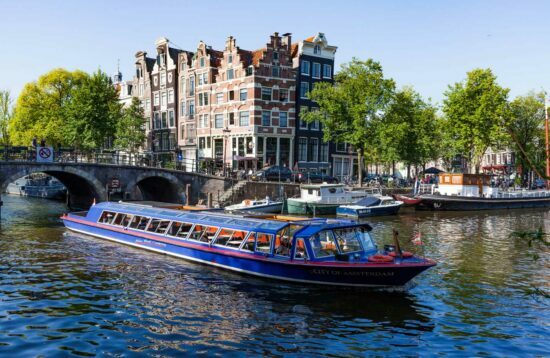 Do I have to make a reservation for the Blue Sky Boat?I booked the Blue Sky Boat, but the weather is really bad....Could I get seasick?What am I allowed to bring on board? 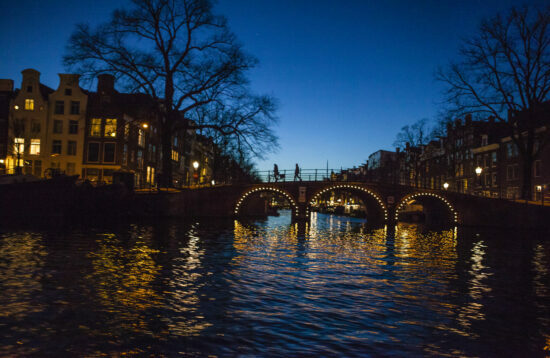 Do I have to make a reservation for the Blue Sky Boat? What am I allowed to bring on board? No. it is not neccesary to make pre-bookings. 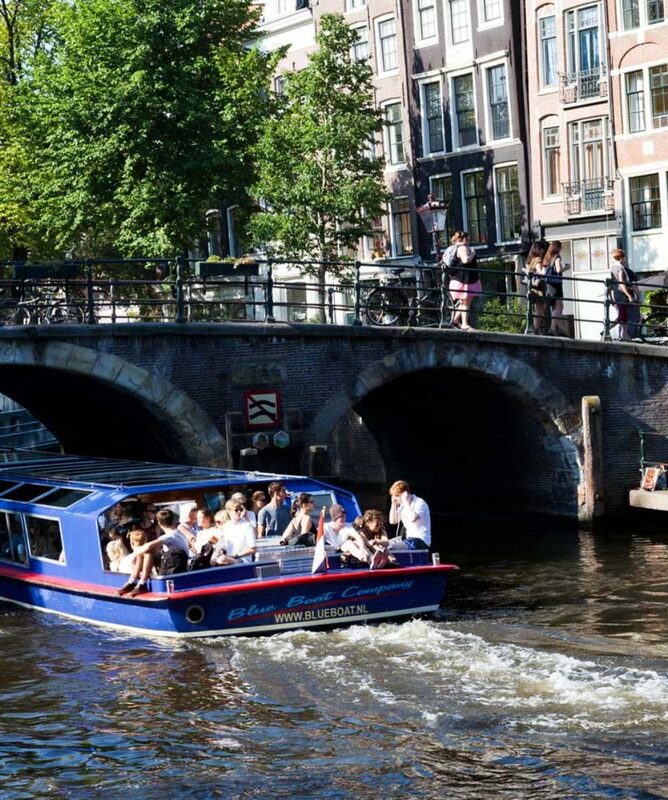 However, when the weather is good, it is useually quite busy and with limited capacity (only 25 persons per departure) it can be wise to pre-book your prefered date & time through our webshop. 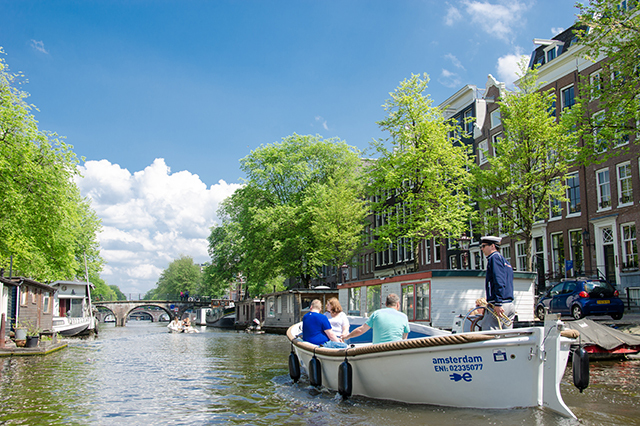 If the weater does not permit sailing with an open boat, you can go on a regular departure. If these are not available, or if yo prefer not to, we will of course refund you the full amount paid. That is very unlikely – the water is the canals is useually very calm. Great trip, with an excellent guide. Definitely recommended!